Constitutional Carry in Indiana continues to move forward but recently the National Association of Gun Rights (NAGR) attempted what can only be described as grand standing by convincing Indiana Rep. Curt Nisly to try and offer a new amendment to bill set for a vote that was substantially similar to current legislation already being considered (HB 1159 authored by Rep Lucas). Indiana House rules prohibit such amendments and Chairman Bosma ruled against it. Rep. Nisly appealed and no one seconded his appeal so it died, as it should have. It was after this that Rep. Lucas decided to end his association with NAGR and let Hooisers know exactly what had occurred. 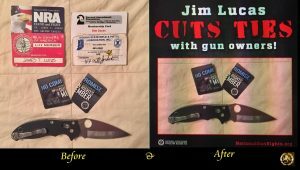 NAGR took this opportunity to try and call out Representative Lucas for “turning his back on gun owners” with a fund raising hit piece. 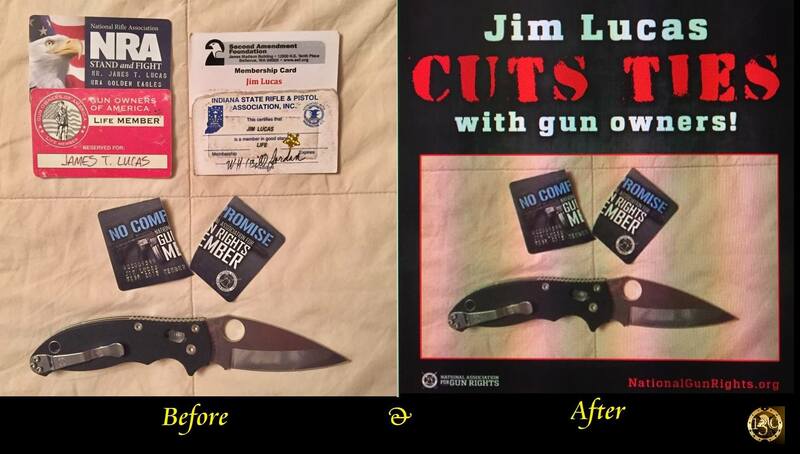 As you can see, Rep. Lucas certainly didn’t “cut ties with gun owners”, he is still a life member of the NRA, GOA, SAF and Indiana State Rifle and Pistol organizations. Representative Jim Lucas was kind enough to speak with us today and you can see the full interview about this and where Constitutional Carry is headed here in Indiana on our YouTube Channel .